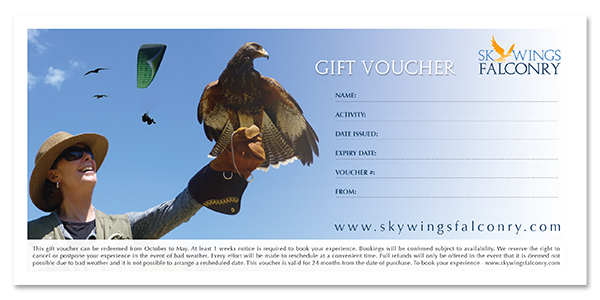 Give someone the gift of a Bird of Prey Experience. Treat family, friend or group to one of our amazing Bird of Prey Experiences. Whether they are a bird lover or not, a Bird of Prey Experience is a wonderful way to spend a morning or afternoon learning and interacting with trained birds of prey.